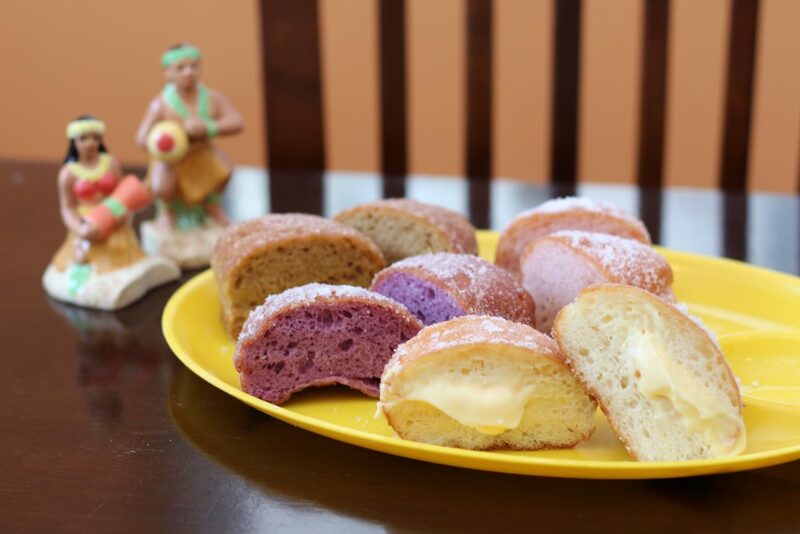 Share the post "Hawaiian donuts made in Okinawa. Mermaid Bakery (Aragusuku, Ginowan City)"
There are many bakeries in Ginowan City, so let me introduce you to one that has a slightly different flavor.This bakery’s specialty is their malasada — a type of donut that is popular in Hawaii and has become a favorite in Japan as well the past few years.Okinawa also has 'sugar tempura' sata andagi (Okinawan donut), but how about trying some masaladas that are a bit different? 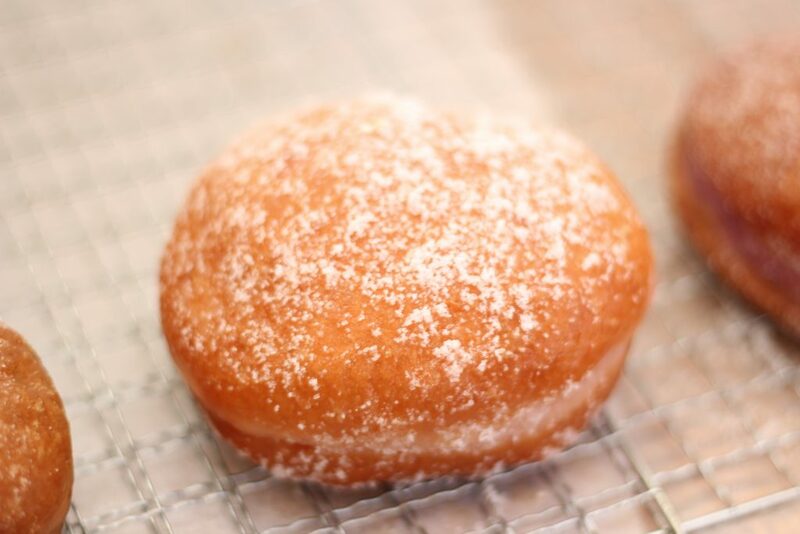 Malasadas are a classic dessert in Hawaii, but they originally come from Portugal.They were spread through Hawaii by the grandchildren of Portuguese immigrants and were eaten at home as snacks, later coming to be sold in stores. There are even some specialty shops now. At the Mermaid Bakery, everything including the dough is handmade, creating a distinctive chewy texture.Also, palm oil is used instead of canola oil, so the dough does not absorb the oil as much and they don’t get greasy even after time passes.Even the next day, you can microwave them uncovered for 10 seconds to make them just as delicious as when they were freshly fried. A big plus is the wide variety of flavors with all sorts of ingredients kneaded into the dough, like purple yam from Okinawa, coffee, strawberry, and caramel (from 120 yen (before tax) each).You can also have the malasada filled with chocolate and custard cream.If you want to try various flavors, I recommend the malasada assortment that comes in a pack of 6 for 500 yen (before tax) or 12 for 1,200 yen (before tax). 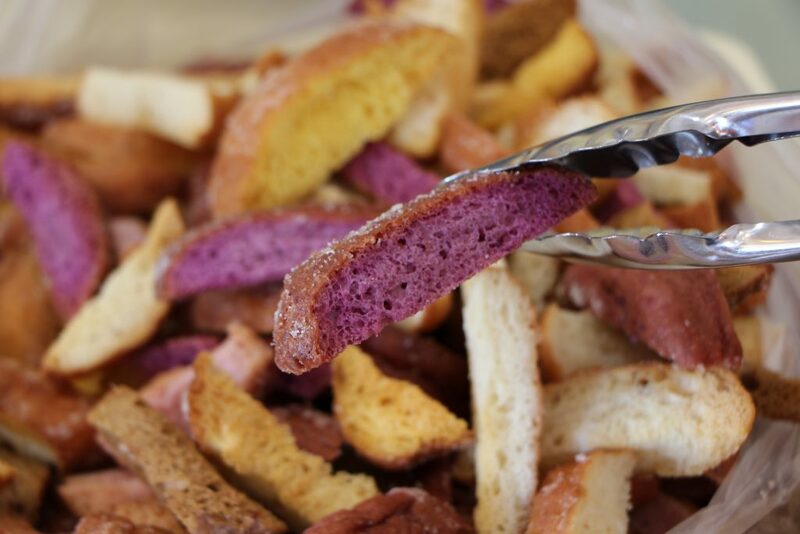 The aromatic malasada rusk (twice-baked bread) has a chewy texture like baked mochi rice cakes that is so delicious it will keep you reaching for more.How about having it with a beverage or getting it as a small gift to take when visiting someone? The owner, Yonamine, is a big fan of diving and often went to Hawaii. 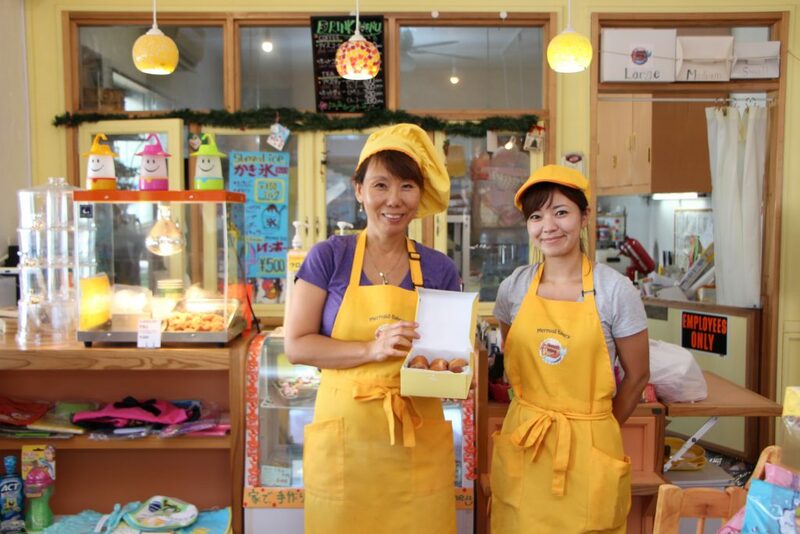 She opened a bakery about 20 years ago in a different place, but it coincided with the birth of her child and other events, and she closed that bakery.Later, she re-opened the bakery she dreamed of in 2014. 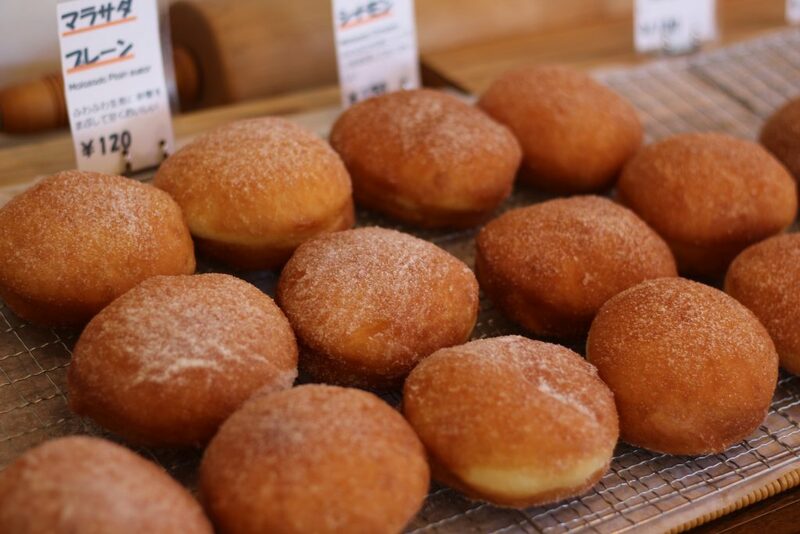 When she did, she felt that she did not want it to be just a generic bakery,but rather a shop where customers could get the malasadas she loved so much.Similar to Hawaii , there are many people of Japanese descent in Hawaii, and the malasadas are a true delight to customers who love Hawaii but can't make it there.Customers from Hawaii also approve, saying they taste like the real thing. 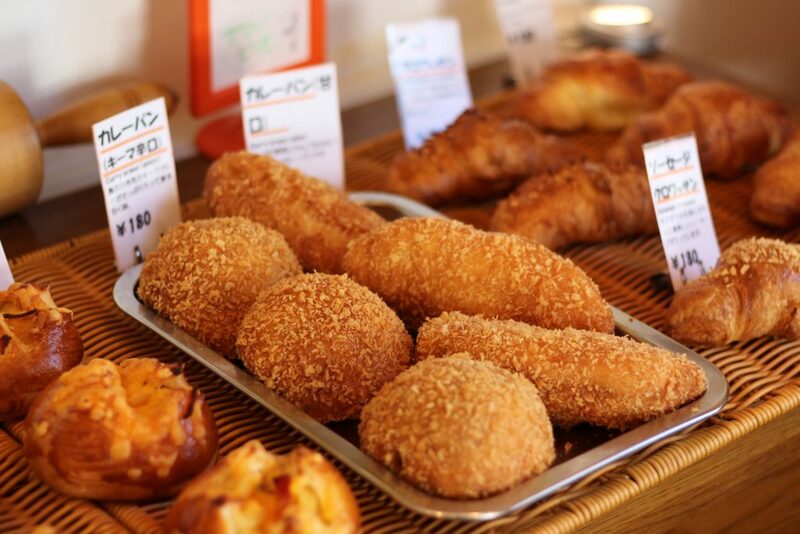 Aside from malasadas, the bakery also sells popular deep-fried curry-filled buns that sell at 200 a day during events, muffins, and cupcakes in egg cartons.Another great point is that there is a space for leisurely eating at the bakery. 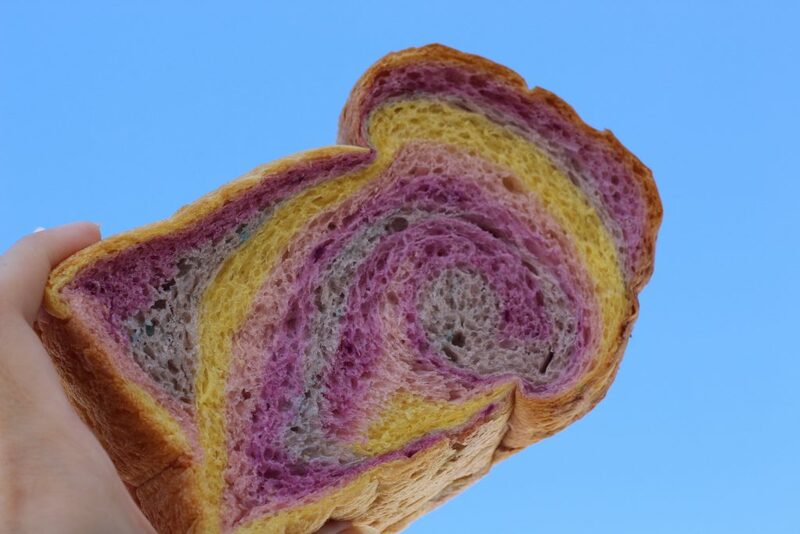 A current recommendation is the rainbow bread created to pay homage to a bakery in Hawaii.Purple yam, pumpkin, blueberry, and strawberry dough that lets you enjoy the flavors of Okinawa are formed into a mildly sweet loaf of bread. 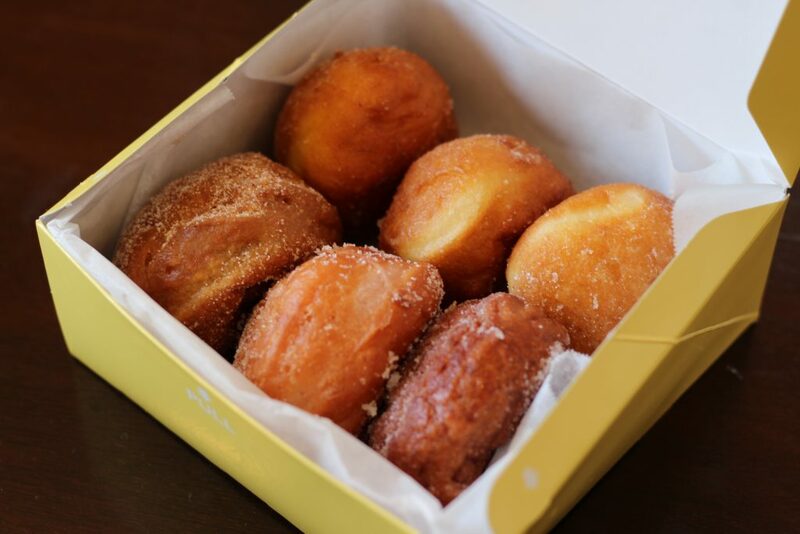 The flavors mix in your mouth, crating a delicious result. 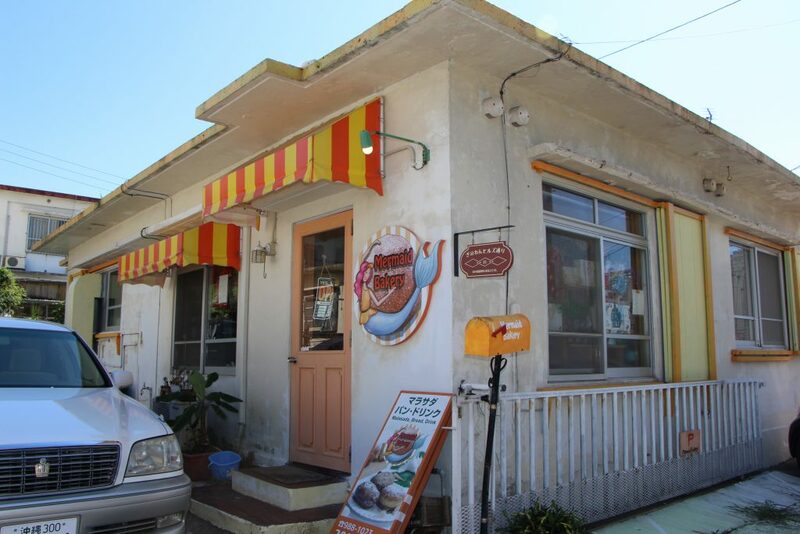 The appearance made in the image of a rainbow over the sky in Hawaii looks excellent on Instagram photos!The bakery that is packed with exciting elements is just like the blue sky in Okinawa. *Only one coupon can be used per visit per group.